ABOUT - THE LUGUBRIOUS - Morphium für dein Ohr! Morphine for your ear! - the electronic group THE LUGUBRIOUS is native of the Swiss capital Bern, famous for its alternative districts and its mythical club Dachstock. Pumping beats with great love for textures, crunchy samples, distorted saxophone hooks and a whole range of different synthesizer sounds send you on a discovery trip into the depths of your dreams. Their upcoming release „Chapter II“ is diverse, melodious and deep, overwhelmes you with the pleasant feeling of a warm, energetic summer night - get intoxicated! THE LUGUBRIOUS play touching, moving ambient sound. Their sophisticated compositions resonate in the chamber of the heart, ebbing and flowing like waves. While the name of the band indicates something sinister and heavy, their music actually isn ́t. If at all, it ́s that kind of melancholy which is reminiscent of the beauty of life. However the weight of the sound mainly stems from the heavy basslines, whereas the acoustic experiments and surprising sound effects are vibrant with light and freshness. After presenting their last vinyl release (CHAPTER I, 2017) the new EP leads us through a unique world of music full of emotions. Their mixture of Ambient, Electronica, Idm and Downtempo has already brought THE LUGUBRIOUS a nomination in the category “electronic” at the M4Music Festival in Zurich 2016. Furthermore they‘ve been nominated for the SWISS LIVE TALENTS AWARD 2017. 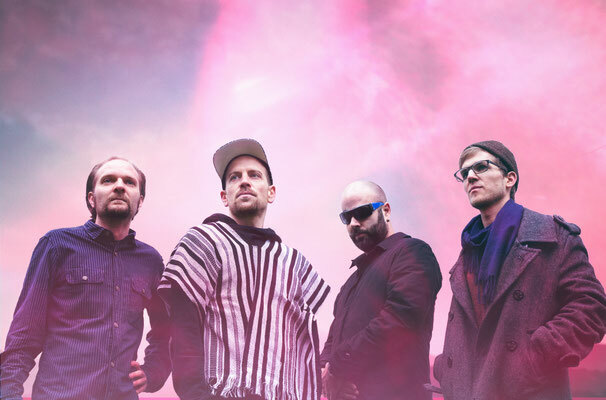 With their well-known and powerful live performances the band already supported international acts like ROMARE, CHRISTIAN LÖFFLER and STIMMING. They’re also renowned for remixes of some popular tracks by celebrated Swiss acts like YOKKO, DACHS, LEN SANDER and PABLO NOUVELLE.